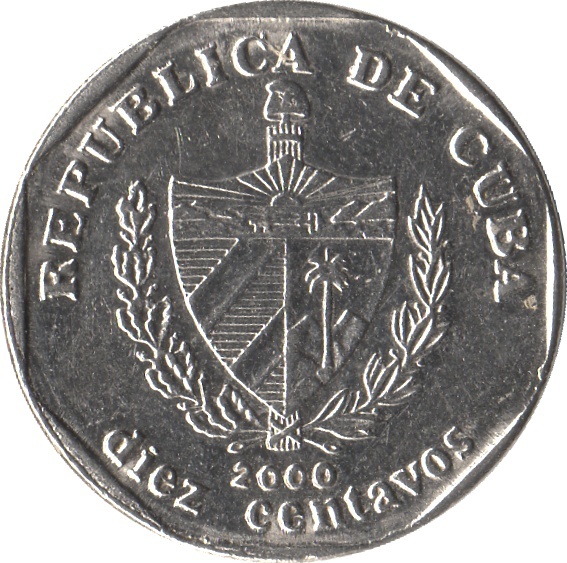 Cuban coat of arms, date below, circular legends: name of the country above, and face value in words below; with 8-sided ring on edge. 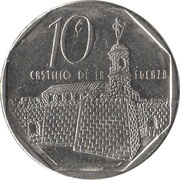 Castillo de la Fuerza, with face value as numerals on upper right, name of the place upper left; with 8-sided ring on edge. 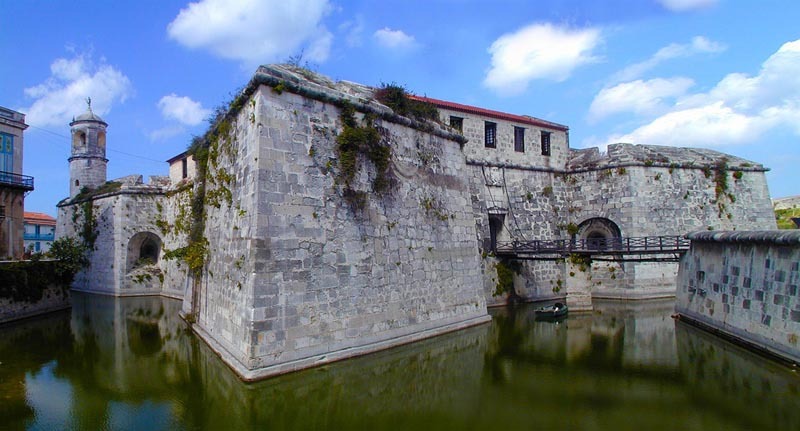 The Castillo de la Real Fuerza (Castle of the Royal Army), is a 16th century fortress located in Havana; was built during colonial time to control and protect the entrance to Havana Bay. 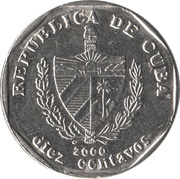 The coin was struck at Ottawa, Canada on 1994 issue, and at Havana rest of years, up to date.